Do you want to inform about your logistics company in the most engaging way? 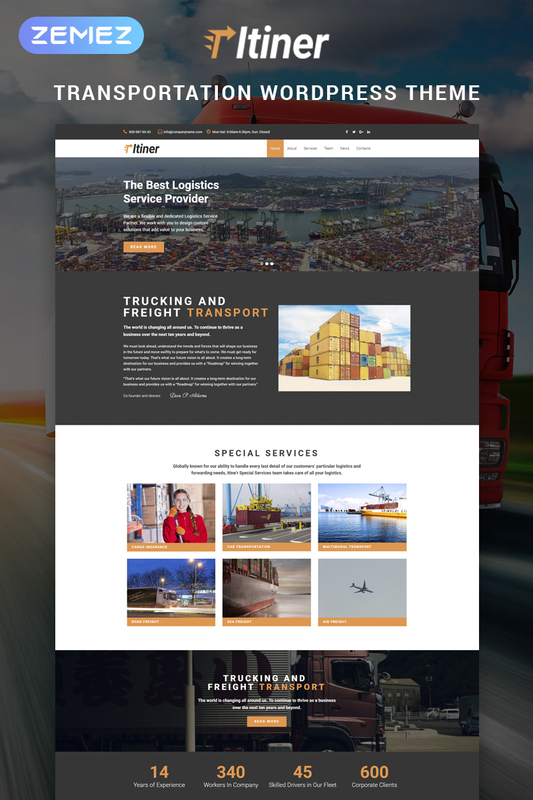 Then pay your attention to Itiner theme, which is a nice solution for creating a website dedicated to delivery services. 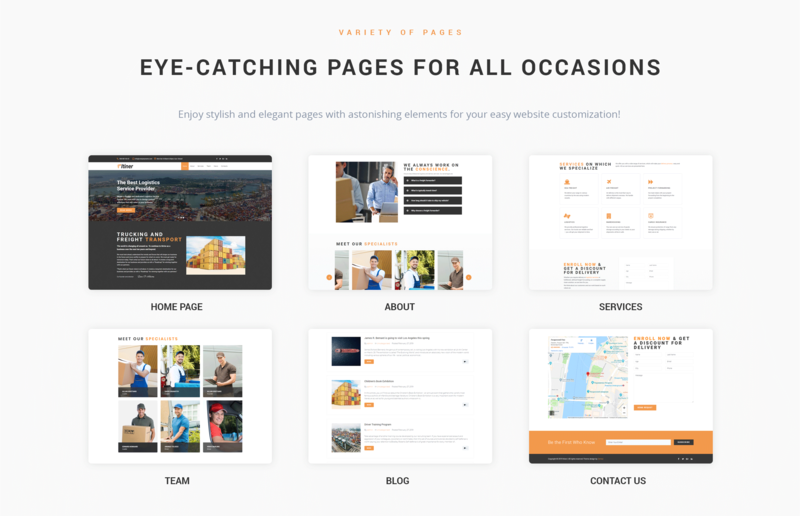 This theme provides pre-designed pages, such as Home, About, Services, Team, News and Contacts, where you will be able to display comprehensive information about your company and provided services. Moreover, Itiner has a modern design and powerful functionality. There is Jet plugins bundle for Elementor page builder, which will assist in customizing the website according to your needs and vision. With JetElements plugin you will get a lot of useful widgets, which are helpful by creating different kinds of content. JetThemeCore plugin will allow creating custom headers, footers and special sections, and also you will select and insert pre-made sections into pages via Magic Button option. Using JetBlocks plugin you will implement additional functionality to headers and footers easily and quickly. It will be possible to apply different animation effects with the help of JetTricks plugin. 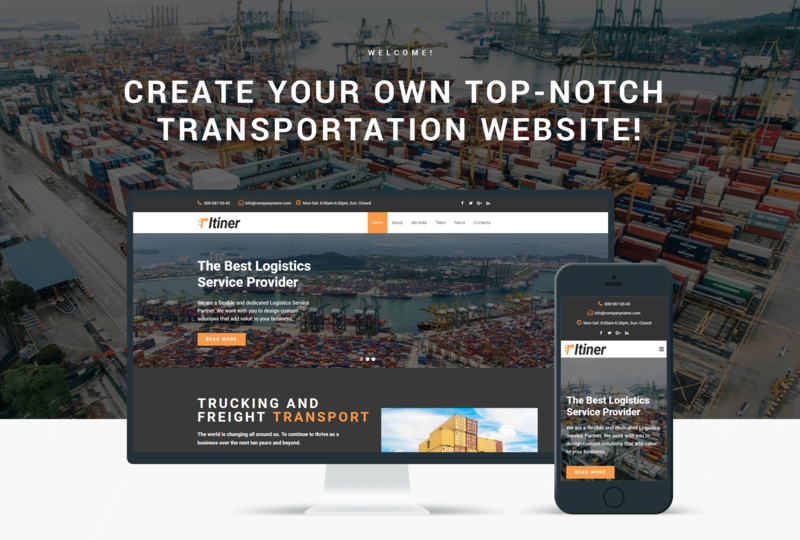 Attract more clients and boost your delivery business using a responsive Itiner theme.